Not time to sit on your laurels! 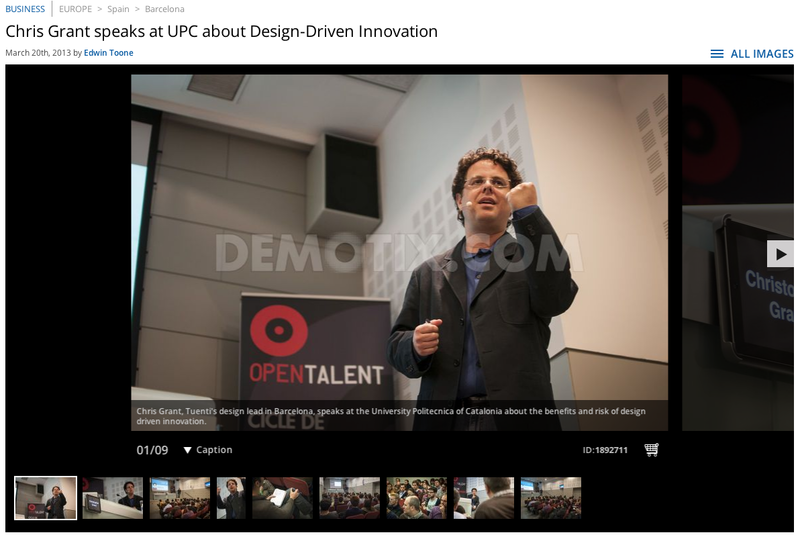 Last night I headed out to get some photos for a friend (Chris Grant, head of design for Tuenti in Barcelona) while he gave a talk about design driven innovation at the Universitat Politecnica de Catalunya. Chris does not have to give talks to students but it is a way for him to keep pushing himself. Photography jobs like these fill the need of the client but they may also be newsworthy or opportunities to meet new clients or a chance to sell your photos in different ways. This is something that is easy for me to forget but often the job of a photographer is to not only look for the good angle to take a photo but to look for a good angle to sell your work.